Home › Uncategorized › Willing to play a couple “normal” matches to help us improve Factions balance? Willing to play a couple “normal” matches to help us improve Factions balance? We are looking for Summoners to help us with an experiment to improve Factions balance. We aren’t sure how to score it fairly. If the Plat-Plat team wins, should they get more points than usual? Fewer? The same amount? We aren’t sure going into it how fair it’s likely to be. People aren’t sure if they’re signing up for a really hard game or a fairly even game. Right now, we very roughly balance using a point system, in which we value Bronzes as 1 point, Silvers as 3, Golds as 5, Plats as 8, and Diamonds as 12. The bigger the point gap, the bigger the match point value adjust. That’s just guesswork, though. We’re running some experiments to try to measure how much of an impact the different Tiers have in a mixed-Tier game. Which gaps are the biggest gaps for balance purposes? Gold-Silver? Diamond-Plat? Silver-Bronze? 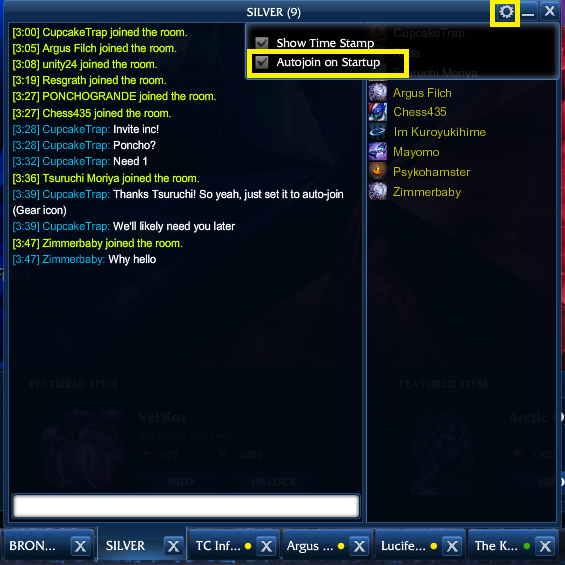 with the blanks in Team B filled with a pair of Summoners from the same non-Silver Tier, e.g., two Golds or two Bronzes. We’ll then run lots of matches with each setup, and compare winrates. For example, if GGSSS beats SSSSS 60% of the time, while PPSSS beats SSSSS 90% of the time, then that suggests there should be a bigger point-value gap between Gold and Plat than between Silver and Gold. This involves playing non-Factions matches (all Champions unlocked) when available. These matches will generate the data we’ll use in our analysis. For our purposes, we’re defining your Tier as the higher of your S3 and S4 Summoner’s Rift solo queue rank. We use end-of-season rank, so if you were (say) briefly Plat in S3 but then went back down to Gold and finished S3 as Gold, and are now Silver, your Tier is Gold for this experiment. We’ll start matches when we have enough people available. For each match, we’ll need 8 Silvers and 2 from another Tier. Then, just forget about it. At some point, you’ll likely get a custom game invite from someone running a balance match. If you’re free, accept. If not, no worries; there’ll be plenty more. Someone will need to submit a screenshot of the LoL Nexus page for the match to us. More on that below. It would be awesome if you’d be willing to try to put a match together for us. We need all the data we can get. Here are the main instructions. Tournament Draft Summoner’s Rift. Create the match as a Tournament Draft SR.
Get some players. You’re going to need eight Silvers and two from another Tier. Check the appropriate chats (e.g. SILVER). Invite those people. Invite from this list of balance testers. Copy and paste into Factions chat: Looking for Silvers to help with an experiment to improve Factions match balance. Join the SILVER chat if you’re interested. Thank you! Verify Tiers. You can use op.gg to quickly look up S3 and current Tier. Explain the rules. In short: all Champions available, play it like Ranked, yes you can consider the Tier differences when strategizing (e.g. their mid is Diamond, so play safe). Pauses can be used as in Factions if someone d/cs or afks, up to 5 minutes per side. Screenshot LoLNexus on loadscreen. This nicely summarizes the matchup for analysis purposes. Submit results. Once it’s over, click here to send in the results. Thank you! Any matches you can run will be a major help to us. FOR SCIENCE! We’re also taking a survey on balance. You’re all invited to participate and share your intuitions.